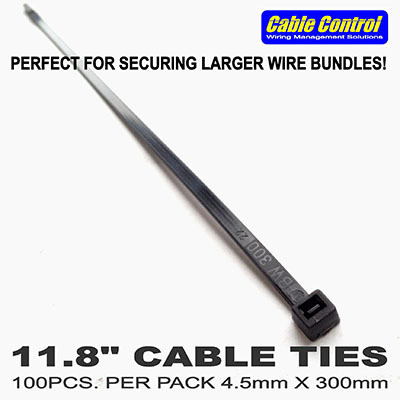 Now available: Cable Control self locking wire ties in 4.5 X 300mm length. 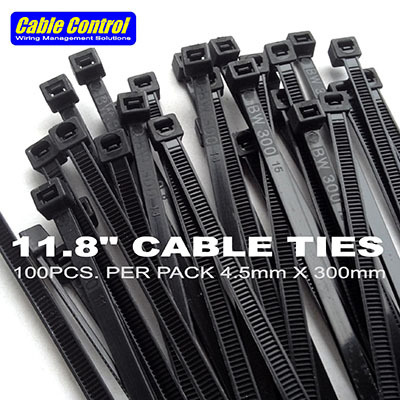 Made of high quality nylon, not your usual cheap-as-can-be wire ties that break easily when tightened. 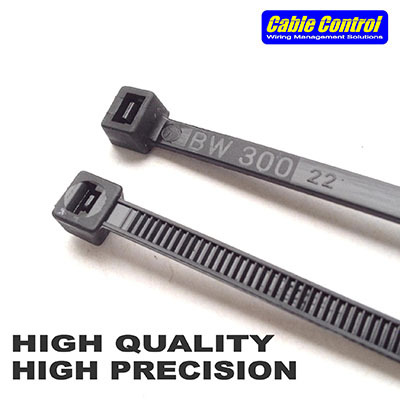 Nice, sleek design is a perfect balance between strength and stealth. 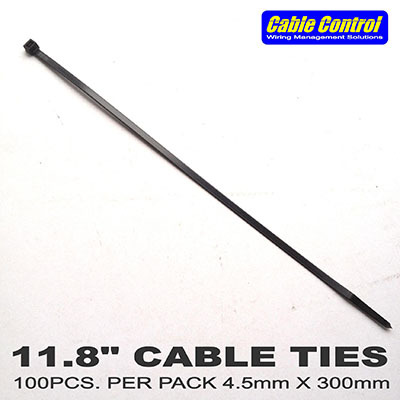 4.5mm wide X 300mm (11.8") long. 250pesos/ 100 pcs.